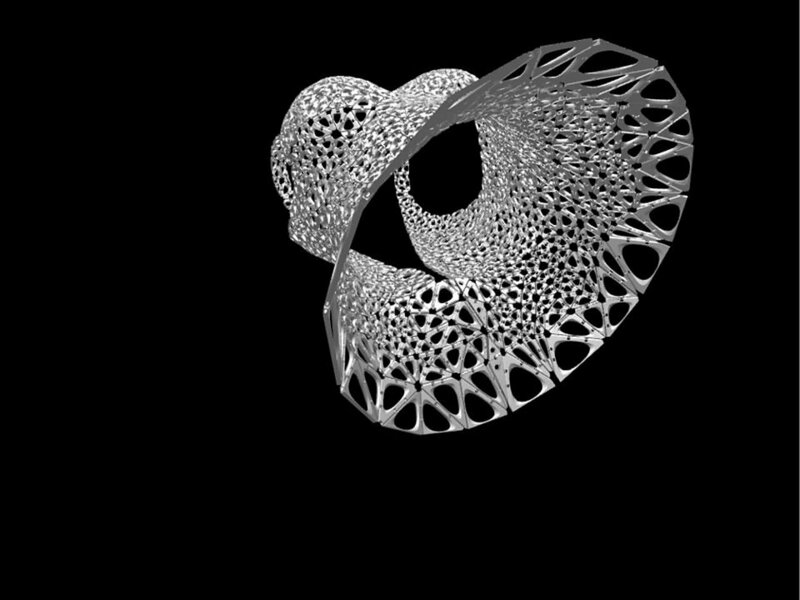 The Kinematics Bodice was the first piece of Kinematics clothing we produced, and it served as a proof of concept for our folding and fabrication methods. 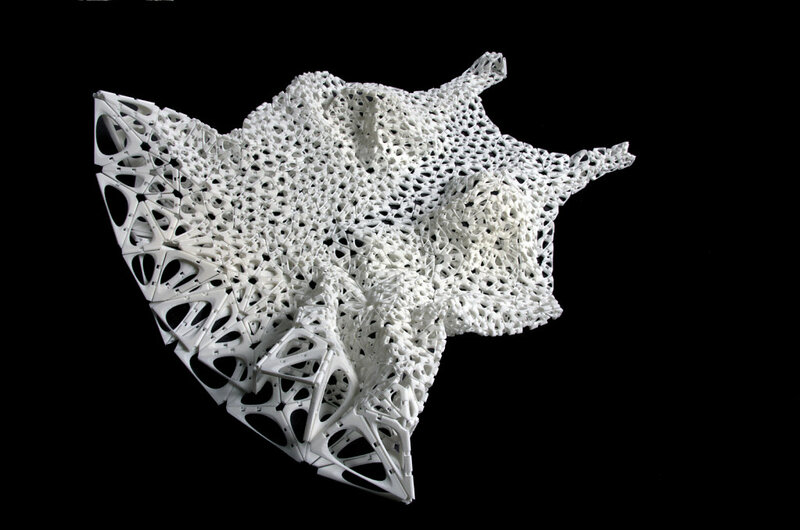 It is composed of 1,320 unique hinged pieces, and was 3D-printed in a single folded piece. 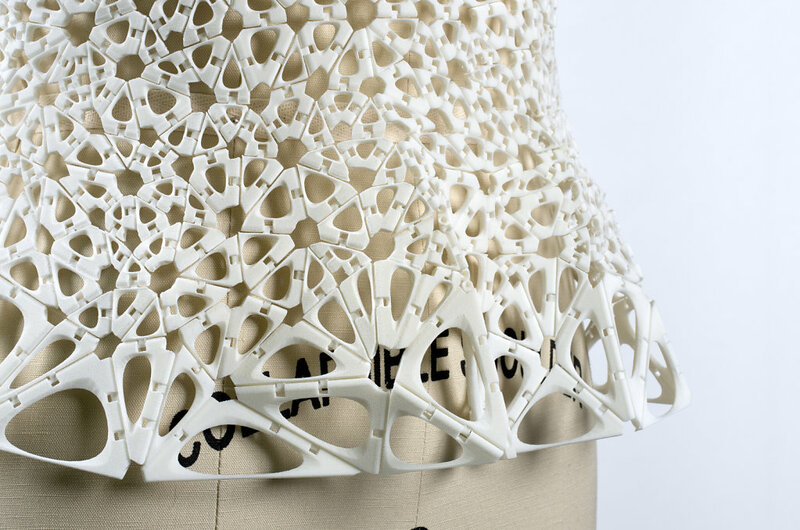 In order to fit the bodice into the printer and minimize the space it took up in the machine, the design was printed in a flattened form, produced by our Kinematics folding software. The bodice was wearable straight out of the printer: no pieces were manually assembled and no fasteners were added. The back of the bodice features integrated 3D-printed snaps for fastening the garment.